For the first time in a decade, there’s a whiff of real fear in the financial markets. I’m not talking about the low-grade anxiety we’ve seen occasionally during the bull market, where investors worry about when to buy the dip. Over the last few days we’ve seen something different — a deeper fear, fear that comes from not knowing if there is a bottom. General Electric’s implosion – and the fixation on it by the financial media – is very 2008-like. A former blue-chip company sheds $200 billion in market value, cuts its dividend to a penny. Institutions are selling desperately. The CEO says there’s nothing to worry about. But GE stock keeps marching lower: $15 to $12 to $8. And analysts say it could lose another 50%! If GE stock can plummet into a black hole, what stock in your portfolio is immune? But, as the above article makes obvious, it’s not 2008 again. 2008 is in an entirely different league compared to the hiccup we’ve had so far. We’ll have to see some serious wealth destruction before we get into 2008 territory. That was very likely a once in a century event. Wasn’t it? The thing about crashes is that they’re unpredictable. Random events. Black swans. Back in 2008 if Lehman Brothers was very close to getting bailed out – if that happens maybe the big meltdown is avoided. 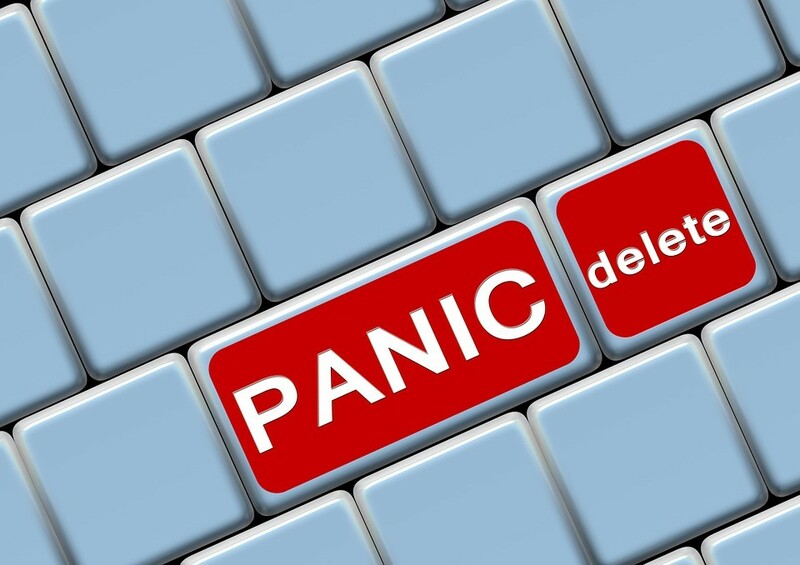 Is there an event on the horizon that will tip the current fearful environment into outright panic? Part of the crash management playbook: Watch for big insider buying to signal serious value. All we can say right now is that the bull run has been broker, the market is spooked, and volatility has risen sharply. In that sense, the current environment is reminiscent of the days before the financial crisis. So, go ahead and trade like it’s fall of 2008. If you go into “crash management mode” and you’re wrong, you won’t be out anything. But if you’re right, and the markets go into meltdown, you’ll not only have preserved capital and limited brain damage, but you’ll have dry powder for bargains when the dust settles. Embrace volatility. Be prepared for stocks to make crazy moves, gapping up and down, wide intraday swings. Cut your position sizes by a half, 2/3 or even more. Use stops. If you’ve never invested with a detailed plan, now is the time to start. Discuss the market with your significant others. If you manage other’s people’s money, talk to them. Tell your clients of the plan. Tell them you expect volatility, and are dialing back risk. You don’t want your inner circle to be blindsided if things get crazy. Their emotional reactions can be destabilizing – and cost you money. Sell holdings down to a comfort level. Park cash in T-bills. If a scary sell-off turns into a full-blown crash, you’ll want to buy AAPL, AMZN, etc. at absurdly cheap prices. Keep dry powder! 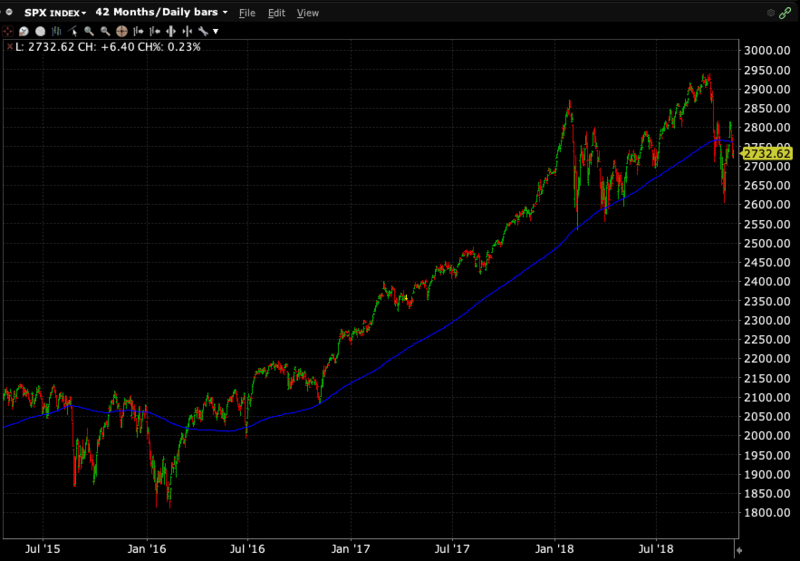 Watch the 200-day moving average of the S&P as your crash indicator. If the slope of the average is down, stay defensive. When the 200-day average turns higher again, you’re back on offense. Note how in 2015-2016, following this indicator would have kept you out of potential trouble, then given the “all-clear” before the bull market took off. Don’t fixate on the markets. Check positions twice a day at most. Remove live quotes from your phone. Watching the noise will mess with your head. Buy red – not green. I’m talking the color of price changes. Don’t chase rising stocks in this environment. Use buy limits below the market to buy when prices are red. Wait for prices to come to you. If you miss the trade, no worries. In this environment there’s no shortage of opportunities. Be patient! If you’re not already doing it, now’s the time to begin thinking in terms of value. You don’t have to go full Warren Buffett and become a value investing disciple — but in a crash environment, serious smart money gravitates to value. Buffett says he buys stocks that would be great investments if the stock exchange shut down for a decade. Now that’s value – understanding the tangible value of businesses. Which leads to another important part of the crash management playbook. Follow insider buying closely for ideas. Watch for large purchases by C-level executives of high-quality companies. Insiders who rarely buy, but now are “backing up the truck.” Insiders are value buyers – and they know their companies better than anyone. In 2009, an avalanche of insider buying indicated that the bottom was in, and a new bull market was underway. The current sell-off could turn out to be nothing – a tempest in a teapot. Maybe it will soon be forgotten and everyone will return to chasing the FAANG stocks. But if the market turbulence continues, and fear sticks around, continue to trade like it’s 2008 all over again. Better safe than sorry.